A fusion of Chinese traditions and Western culture set the scene for the wedding of Leesa and Daniel, complete with a surprise lion dance. 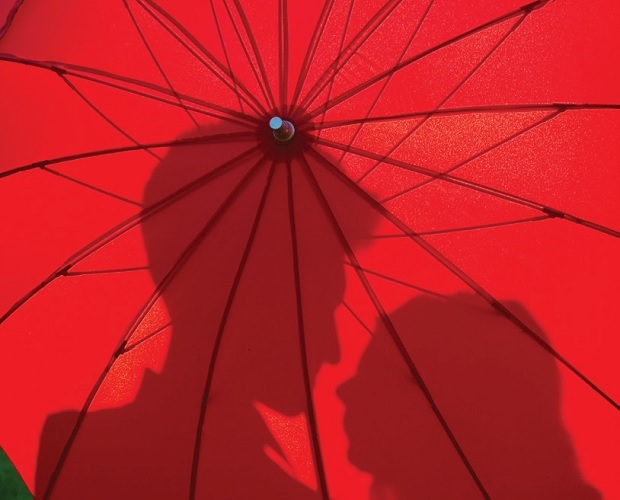 Leesa and Daniel met at a mutual friend's house party in Newcastle and from their first dinner date they both felt a special chemistry. “We chatted and laughed all night and then went for a walk along the Millennium Bridge,” recalls Leesa. 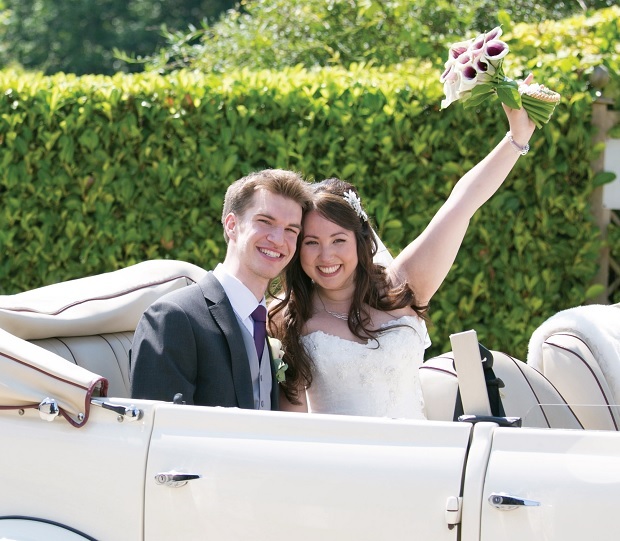 Just over a year later, Daniel planned a 'Leesa day' – 24 hours where she could choose everything she wanted them to do. Not knowing he was going to propose, she chose a trip to the gym! “Later he bought me flowers, we relaxed at home and he made me dinner. We lit candles and my favourite song, 'Everything' by Lifehouse, was playing when he produced a ring, then got down on one knee and asked me to marry him. It was definitely a surprise,” says Leesa. 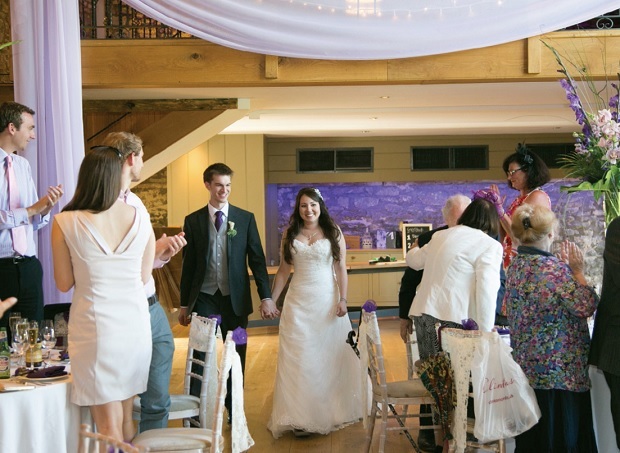 The couple organised their wedding over the following year and fell in love with Priston Mill on their first visit. 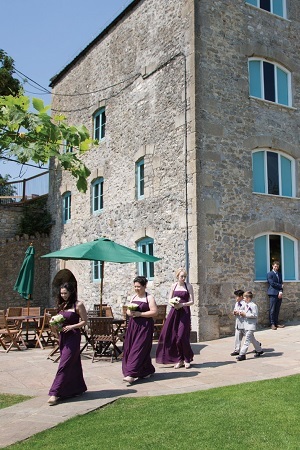 “It had an outside area for the ceremony, was surrounded by beautiful scenery, had a playground for kids, a watermill and is just a beautiful place,” Leesa explains. 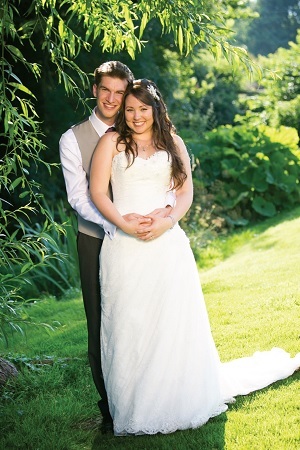 Leesa Lim, 29, married Daniel Woricker, 28, at Priston Mill, Bath on 24th July, 2014. I went to one shop and tried on about six dresses. It felt comfortable and I didn't feel selfconscious at all. 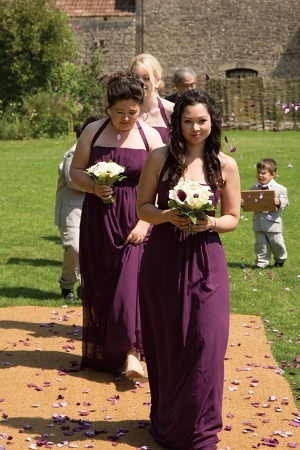 The bridesmaids wore dark purple empire-line chiffon dresses. They were my sisters, Kimberlee and Lee May, and great friend Marie. 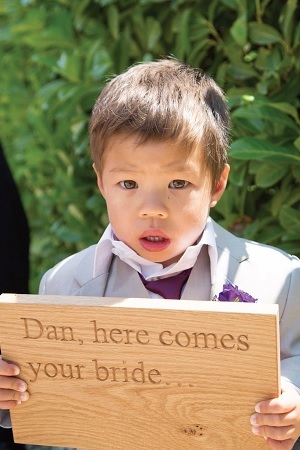 Daniel wore a suit from Austin Reed, while his groomsmen hired suits from Moss Bros. 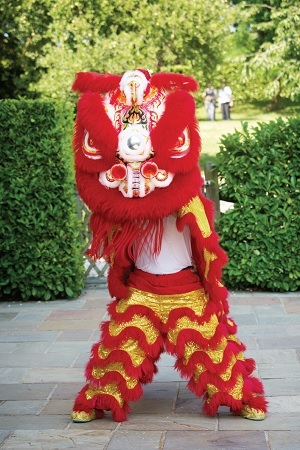 It is tradition for a lion dance to bless the newlyweds. All you hear at first are Chinese drums and then suddenly a bright red lion appears and does a dance to bless the couple. The guests loved it as it was different and exciting, especially for the children. 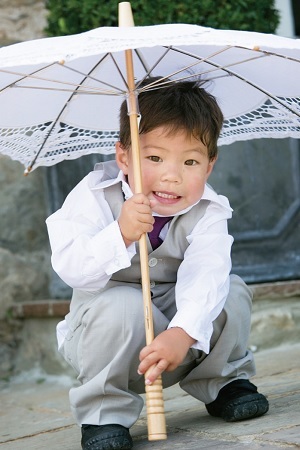 One thing we were very glad we'd planned was the parasols we hired for guests as the sun was so intense on the day. The lion dance was also a great surprise to everyone. The offering of tea is a sign of respect to the families and is served to the older relatives after the wedding ceremony. 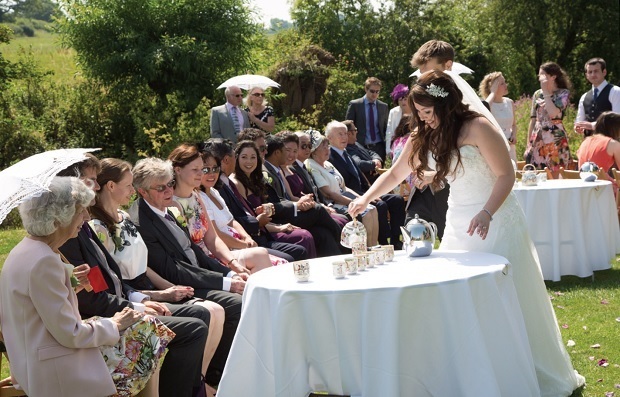 We served chrysanthemum tea symbolising purity and loyalty, and accepting the drink shows the acceptance of the new couple. 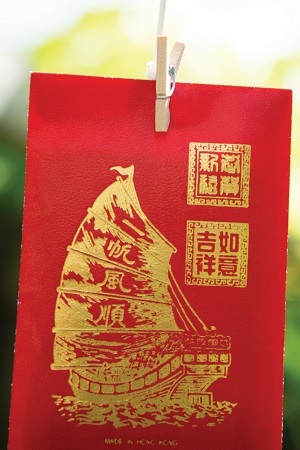 Each family member presented us with ang pau – a small red envelope containing money. 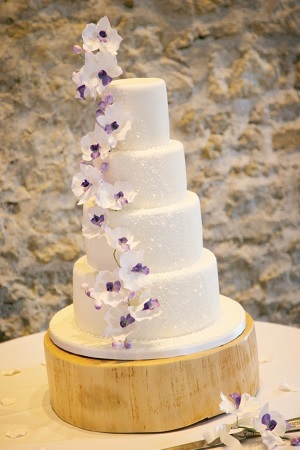 The cake had piping like the lace pattern on my dress, and purple sugar orchids. The four layers were chocolate orange, Victoria sponge, sticky ginger and red velvet. The sugar flowers looked so real and delicate. Sandra Monger Cake Design did an amazing job. I grew up in Malaysia and was always surrounded by orchids. They also worked well with our Chinese fusion theme. Emma, our florist knew exactly what other flowers would complement the orchids and vermeer calla lilies. 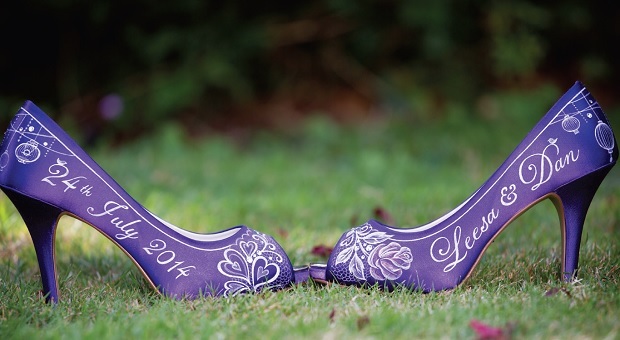 My shoes were first dyed to match the colour theme and then personalised with the date, our names, hand-painted lanterns and flowers. Our five nephews were pageboys. 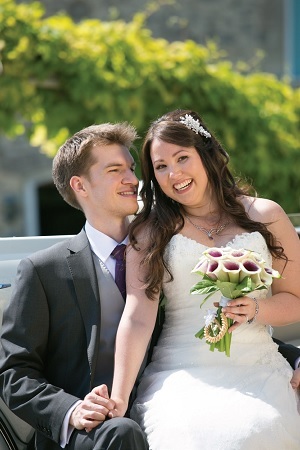 They're such a big part of our lives, we wanted them all to be involved in our big day. Good planning is key, but enjoy it and don't stress. It is your day, so do what YOU want. We had Chinese lanterns and a chiffon drape hung up, plus flowers in the lanterns and bird cages in the alcoves. 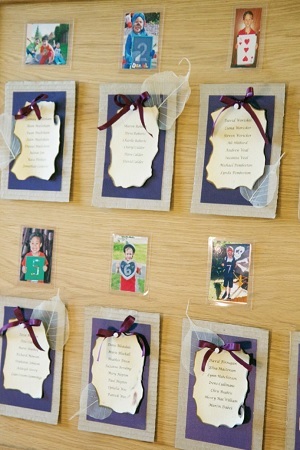 Daniel's sister helped by making flowers that were pinned onto the chairs.